If Dave Edwards didn't get hurt as a teen, he might not have gotten his World Series ring, according to The Albuquerque Journal. Edwards actually got hurt twice, The Journal wrote, and one injury ended in surgery. "A lot of what I went through could have been prevented had I just gotten the proper medical attention," Edwards told The Journal. "That pushed me into (athletic training)." 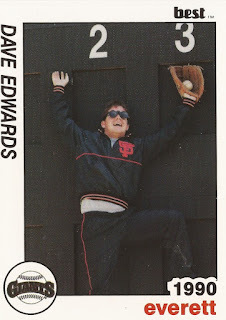 Instead of playing, Edwards turned pro as a trainer, starting in the Giants system. He later joined the Diamondbacks, serving as the club's assistant trainer during its 2001 run to the world championship. 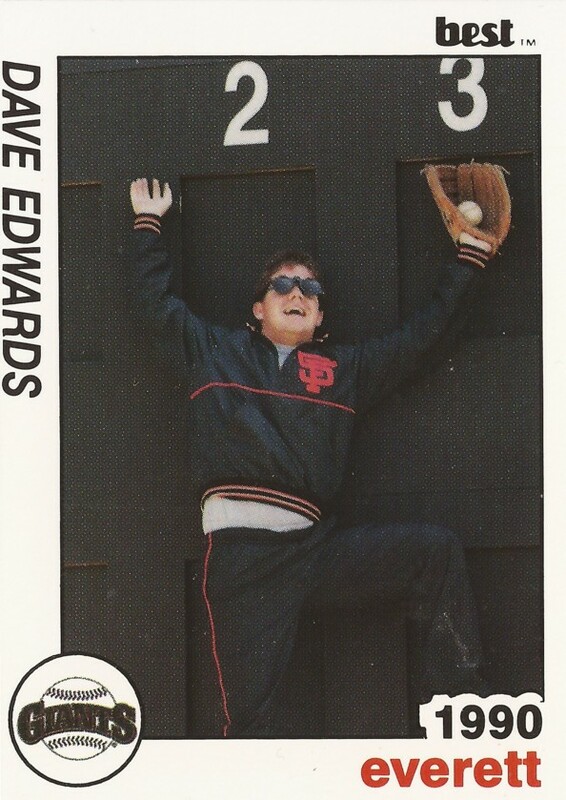 Edwards started with the Giants in 1987 out of New Mexico State, where he earned a degree in athletic training. He later earned his Masters from the University of Nevada, according to his 2009 Diamondbacks bio. Edwards first served as trainer with the Giants at rookie Pocatello and then short-season Everett. He then finished his Master's and went back to college as head trainer at Grand Canyon University from 1991 to 1996. He then joined the Diamondbacks, first in rookie ball, then at high-A High Desert. He then joined the major league Diamondbacks as assistant trainer. His Arizona bio highlights Edwards' language skills alongside his training abilities. Edwards speaks Spanish and sometimes served as an interpreter. In August 2003, Edwards flexed his physics knowledge, as well as his training knowledge, after Steve Finley and Junior Spivey collided. "We got to feel fortunate that the little amount that did happen to them is what happened," Edwards told The Arizona Republic. "Any time you put two bodies of that size in motion and have them collide I didn't do well in physics, but I know something has to give, and it did." Edwards continued with the Diamondbacks through at least 2009. He then went in a different direction, into rodeos and golf, according to The San Diego Union-Tribune, helping golfer Arron Oberholser to a brief comeback after injury.